The most powerful and efficient solar charger for your smartphone or tablet is now here! This is a product you do not want to miss out on. Always have power for your cell phone or tablet! Always have light that will last all night! This new solar charger belongs in every home, emergency kit, and survival pack. Having your communications is vitally important especially during an unexpected event. No matter if the power grid goes down or not, you will have the ability to recharge your smart phone or tablet. Plus, you will have a light that will last all night long. When there's no electricity, you won't go without! Mobility is what our lives are all about these days. But how inconvenient is it when your iPhone or iPad dies on you again? The WakaWaka Power is a pocket sized solar gadget capable of fully charging practically all types of (smart) phones and tablets and still shine bright LED light for another 10 hours. The Power has state of the art solar cells and a power management system which ensures efficiencies up to 200% over any other product in the market. Apart from the capability of charging your smartphone, WakaWaka Power is a light source that can provide you with more than 40 hours of excellent reading light (on a single day solar charge!). This is a Must Add to Survival Kit product! 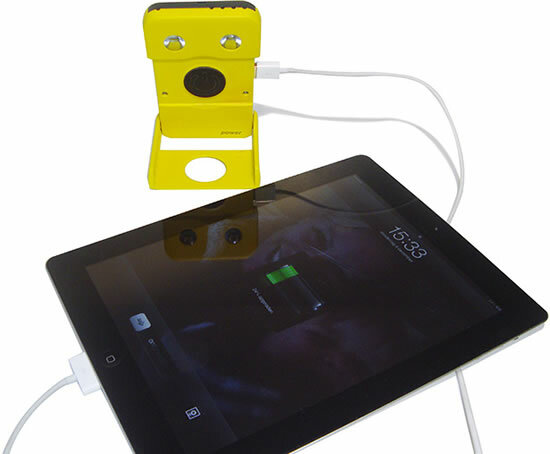 EmPOWER yourself and others with WakaWaka POWER’s pocket-sized personal smartphone power station! 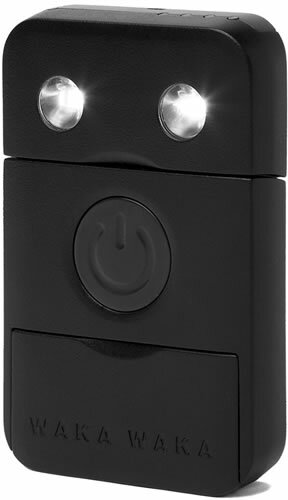 This super-portable, extremely durable, and easy to use smartphone charger and light will replenish the batteries on a smartphone or USB enabled cell phone in just about 2 hours. Combining patented chip technology, a solar panel 200% more efficient than its competitors, rock-solid durability, and charging via USB, Solar or AC guarantees you’ll never be without smartphone power again. Everyone with a smartphone knows there are times when batteries die just when you need your phone most. WakaWaka POWER makes sure you never need to be powerless again. •This sleek charging unit can take a smartphone from fully depleted to fully charged in under 2 hours plus give you 10 hours of bright light. Smartphone owners in North America also love WakaWaka POWER for how it performs as a powerful charging station. 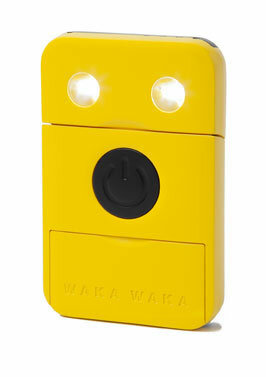 The WakaWaka POWER is a great way to power mobile devices in emergencies, when traveling, or on a camping trip. 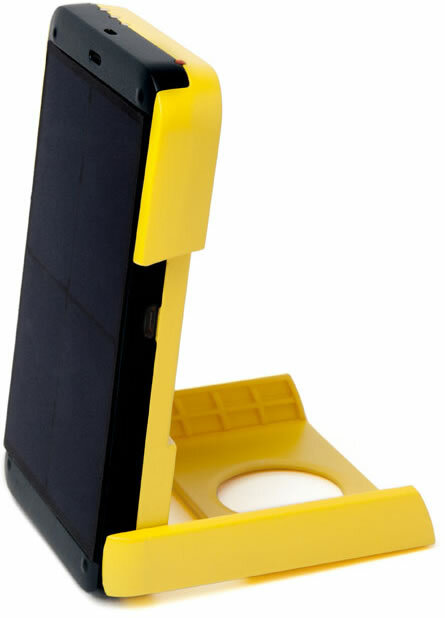 Place the WakaWaka Power in direct sunlight for a whole day and you will notice that the battery will be almost completely full, even if you live in New York or Seattle (where the intensity of the sun is less than in Texas for example). The capacity of the battery is large enough to fully power most mobile phones from completely depleted, to practically full. On top of this, you will have 10 or more hours of excellent reading light as well. If you don't charge your phone or tablet, you can have more than 40 hours of light. We calculated that a fully charged WakaWaka will give you at least 2 hours extra surf & work time on your iPad (on full brightness). Enough to finish that movie, or send some mails in the train, bus or plane. How long does the battery hold power without using? Which mobile phones can connect to the WakaWaka Power? All. You just need a USB charger cable.We personally tested the iPhone 3,4,4s, and 5, Blackberry, Samsung Galaxy IIIs, iPad 2,3 and they all worked. How long can the LED light shine after I charged my phone? It depends on the phone you first charged. 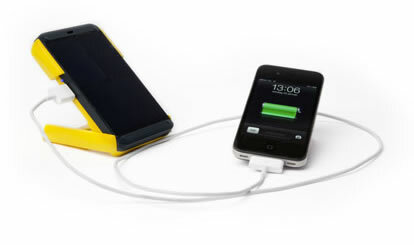 For example after charging an Iphone, with a relatively small battery-size, you'll have approximately 10 hours light left in the WakaWaka Power battery. Obviously, the more power the external device needs, the less power is left over for lighting. Is the WakaWaka Power water resistant? No, because of the USB ports, it is not. It can withstand some drops for sure, but don´t leave it out in the rain. What kind of batteries does the WakaWaka need?